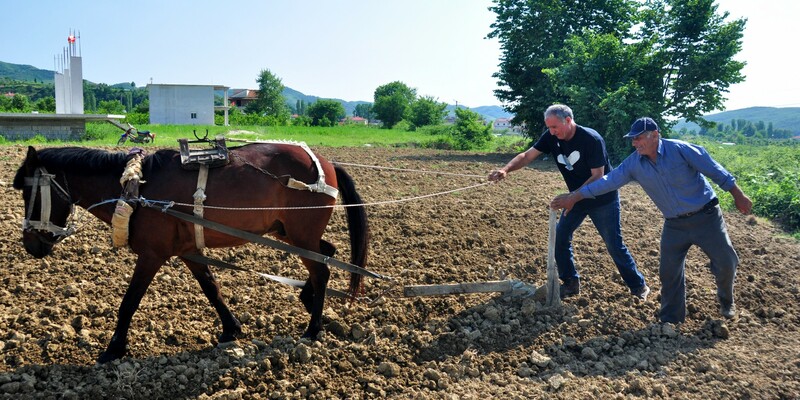 With Albanian Trip you will travel responsibly and your money will help sustainable development – we always support local families and businesses. We know a lot of people in this country (and far beyond!) and we go out of our way to show you the best on offer, either with a small group of like-minded travelers or as a private tour. We cater to different types of travelers and what makes us different from others is that we don’t offer the typical tourist experience – we pride on unique, personalized service with friendly, intelligent guides and we want you to explore parts of the Balkans like a local would. Our focus is on quality day trips and tailor-made experiences. We have worked with endless individuals and small groups to come up with an itinerary that is specific to their needs not only just in Albania but in many other surrounding Balkan countries (we really do have contacts everywhere.) No matter how you choose to travel and whatever your interests are, we can help come up with a suitable itinerary and will provide a guide/driver and accommodation. We have several itineraries for multi-day cultural tours already set to go – you can find them here! We offer endless day trips that we can customize according to your needs. All of them can be offered as a private tour on any day of your choosing, but some are offered as group tours on select days if you’d like to meet others (see the group calendar here.) If you are pressed for time and want us to pick you up at your hotel for a day trip right in Tirana or to surrounding areas, choose one of these! Just a few examples: you can enjoy a trip to Berat (the city of a thousand windows); head to the museum in Kruja and amphitheater in Durres; explore Tirana like a local; or if you are curious about communist history, visit some bunkers and beaches. Are you interested in bird-watching? Butterflies? Food, wine and Albanian lifestyle? Flora and fauna? Swimming? Off-roading? Our communist memorabilia collection? We offer unique sides of Albania that few other companies offer with our specialty tours. If you are interested in these trips or anything else we haven’t mentioned in our menu, message us! We love coming up with new ideas for you. Payment Options: We accept bank transfers, PayPal and we have a debit terminal/POS available at our Castle Kiosk Tourist Office in order to accept Debit, VISA and Mastercard payments (please keep in mind that 5% of the total will be added for the latter option.) We can also accept cash payments where applicable. You can visit the National Gallery of Arts in Tirana to see its collection of Socialist Realism art, but without any context or in-depth descriptions, the works can sometimes be a little perplexing. This is why we try to arrange for our clients a visit to the gallery with one of Albania’s finest Socialist Realism artists, Robert Permeti. Those who have taken the tour with him before have been moved by his stories and have learned a lot about the time period. Check out the Socialist Realism tour we offer! Calling all plant lovers! After our amazing experience with the Geneva Botanical Association, we’re more than excited to launch our very own Botanical Tour of Albania. This tour is designed to be flexible. We would be happy to discuss with you how many days you have to set aside – whether just a few days or an entire week – and we will come up with the best plan of action while following advice from some of the most informed specialists of Albania and Europe. Of course, the seasons are important and we will aim to make these journeys when conditions are ideal for following specific flower and plant routes. We can tell you that the tour will be based mostly in the lush and mountainous northern region of Albania. Here we will explore the rich natural aspects of the region. However, if you have more time to set aside, we can journey to other parts of the country. Rather than setting an itinerary in stone here, get in touch with us! Let us know the number of days you have free, when you are coming and from there we can begin to discuss what opportunities there are. The price will be discussed based on the duration and number in your group.